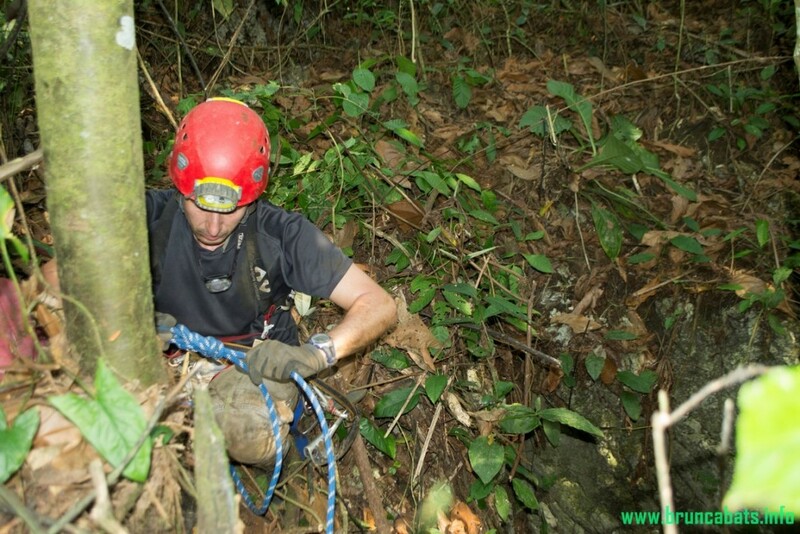 The caving expedition “Quebrada Roman” was held during the Holly week in Costa Rica – 19-26.03.2016 in the Roman Valley near the town of Rio Claro. Fourteen people participated in the expedition with different ages, background and professions, united by the interest in speleology and the curiosity to discover the mysterious underground world. 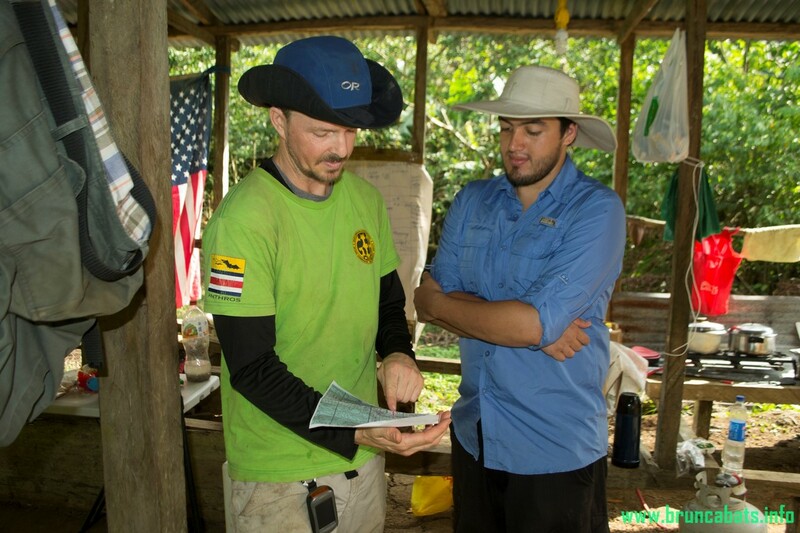 The goals of the expedition were discovery and scientific research of new caves and presentation of the field work methods for the Brunca Bats Project. The idea for expedition in the Quebrada Roman area came during the field work in January, when we went to a trip for searching new caves around Rio Claro. Then we discovered about 12 new caves – all vertical. 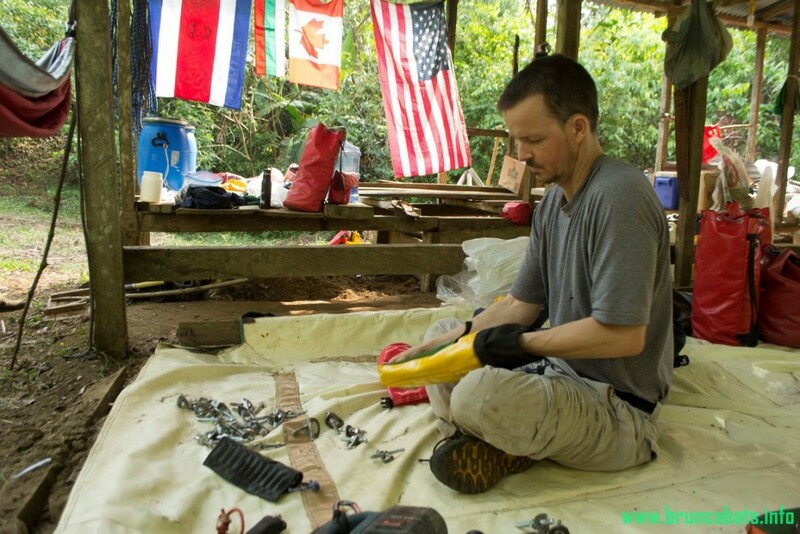 There was need for more people and equipment for the research of the newly found caves. 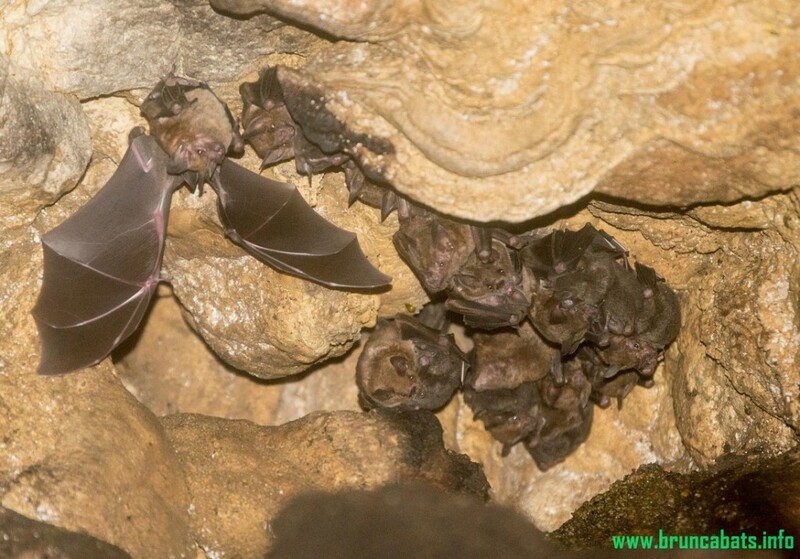 During the expedition the cavers were introduced to the activities of the “Brunca bats” project – research of the cave-dwelling bats and caves. 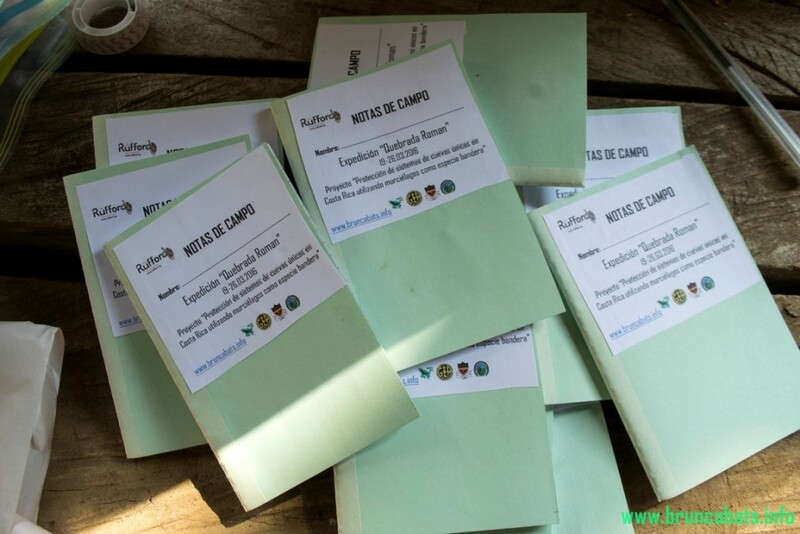 After a brief presentation, all participants in the expedition were involved in the field work. 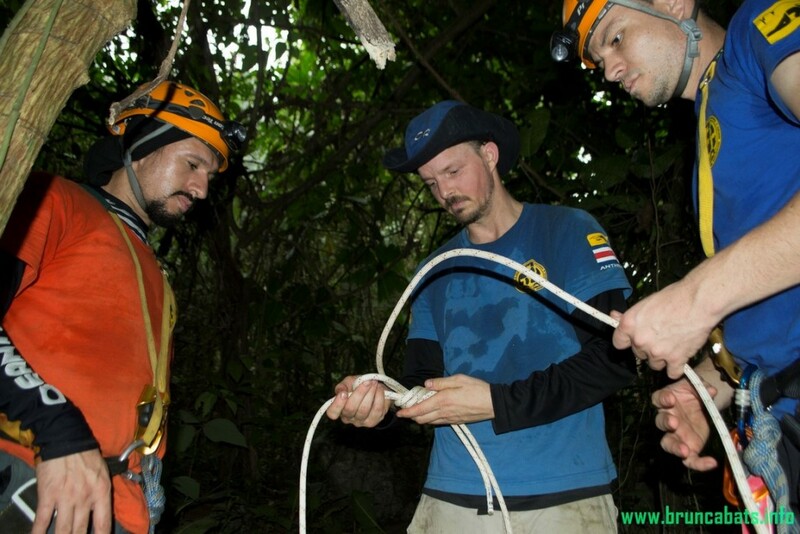 Because of the different experience and skills of every participant, we made introduction to the methods used for scientific exploration of caves. 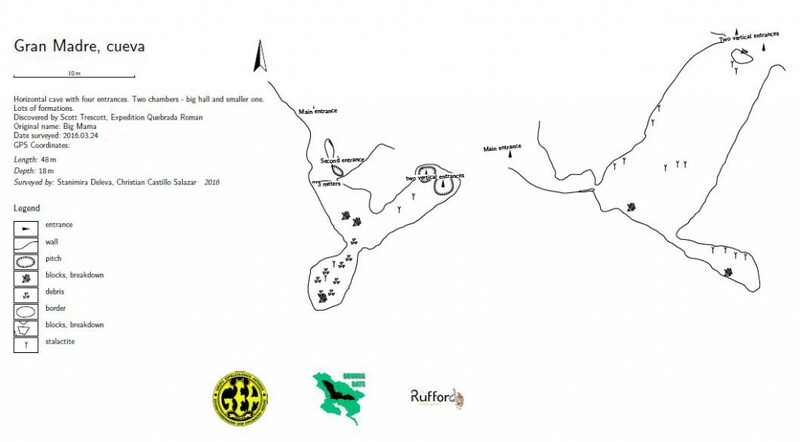 Some of the cavers were involved in cave survey – creating maps of the discovered caves. 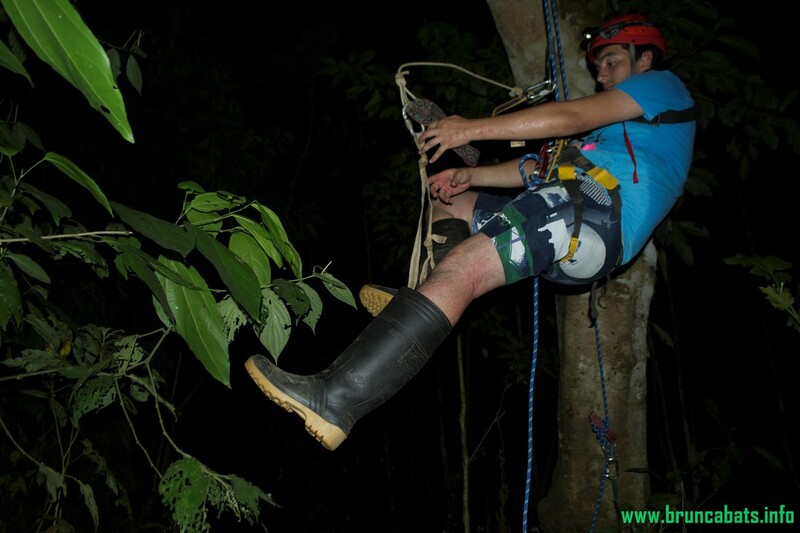 Others were trained in climbing, rappelling and advanced rope technique. After the first period of introduction, we formed a strong research team. 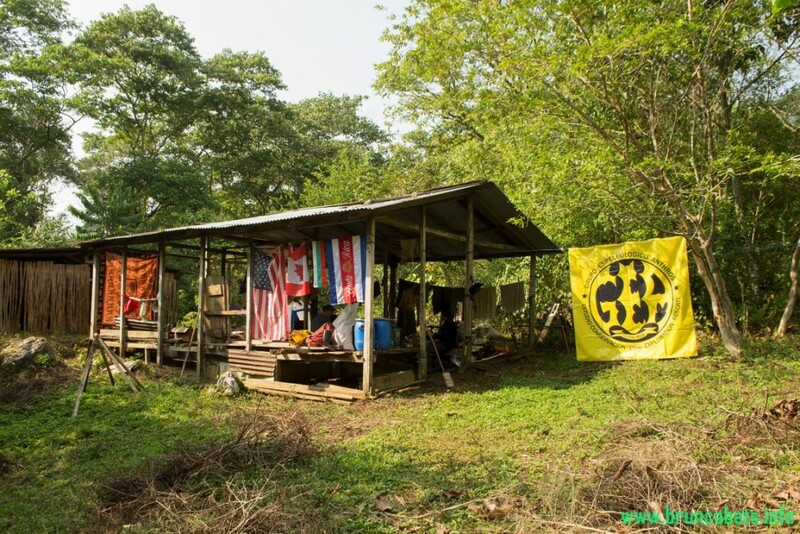 At the entrance of “Cinco milliones” cave. 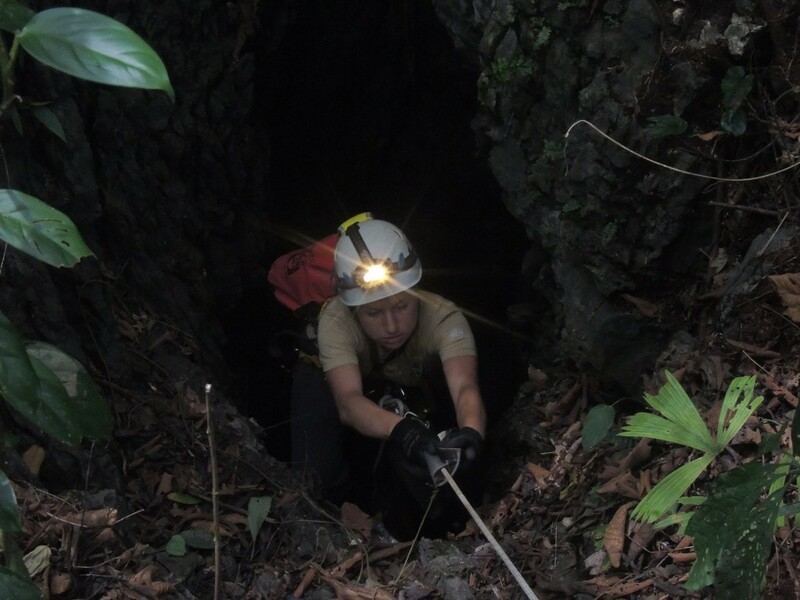 During this expedition we discovered, explored and surveyed fourteen caves. 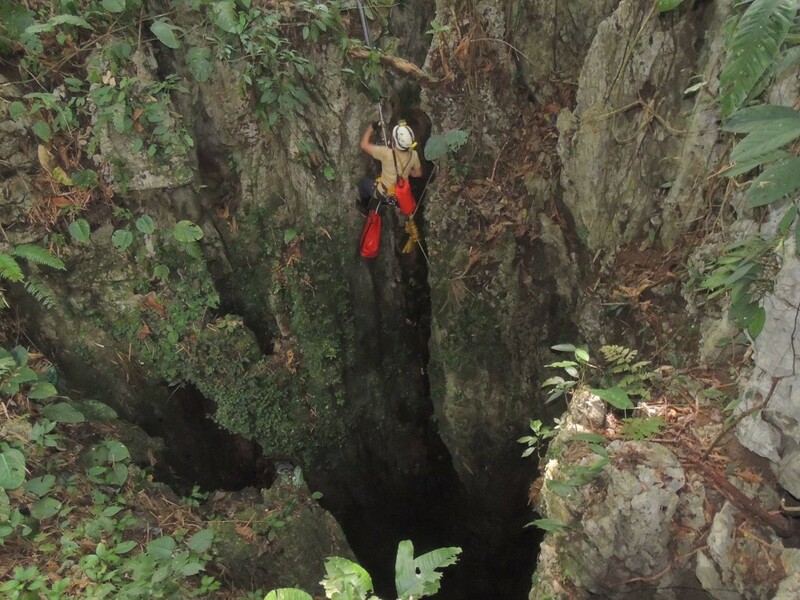 Most of the caves were vertical – they could be reached only with a rope and special rope access equipment. 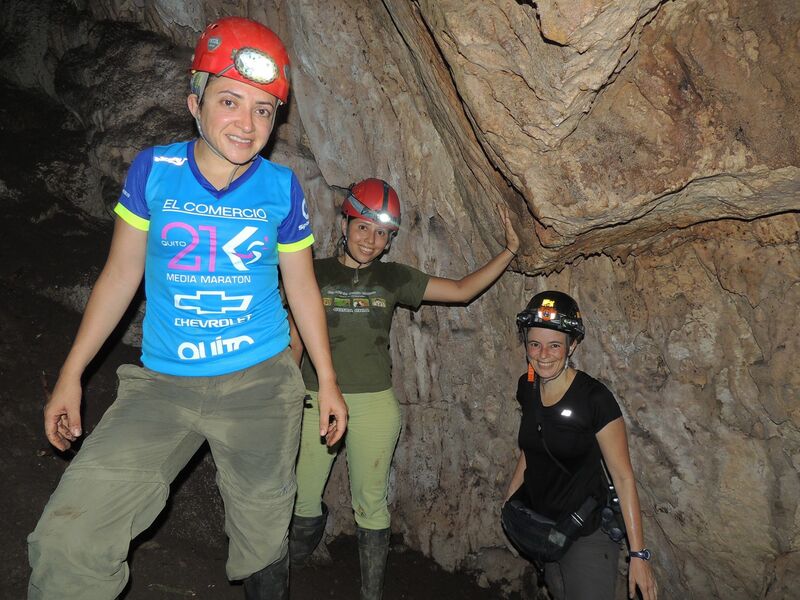 In the caves we measured the ecological parameters – temperature and humidity. 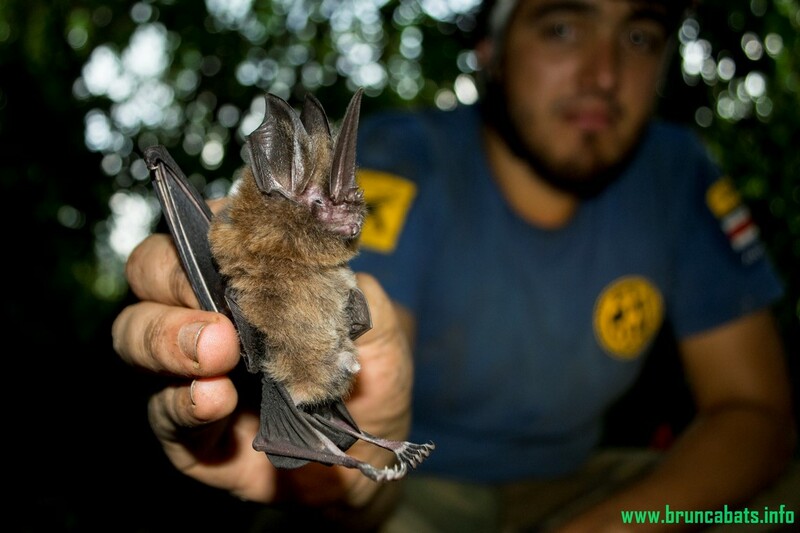 Presence of bats and species diversity was marked in special data sheets. Every cave was mapped and added to the national speleological database. 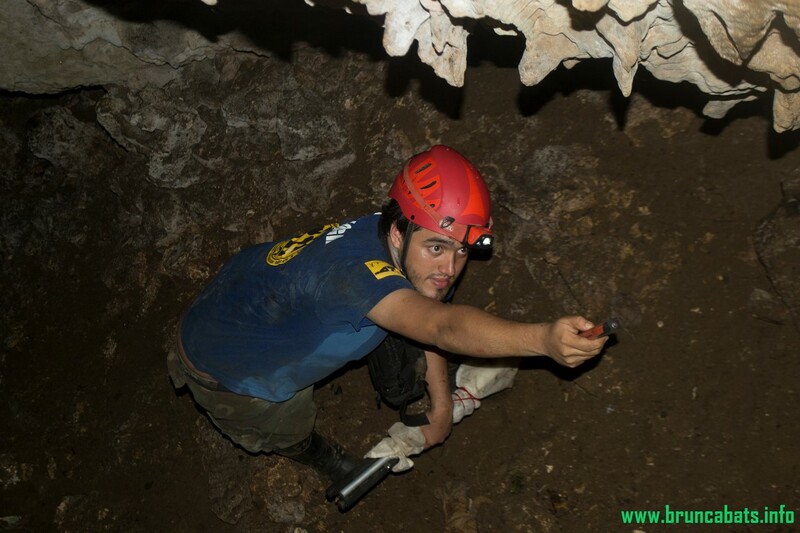 The most interesting cave for us was “Gran Madre” – “The mother of all caves in the area”. 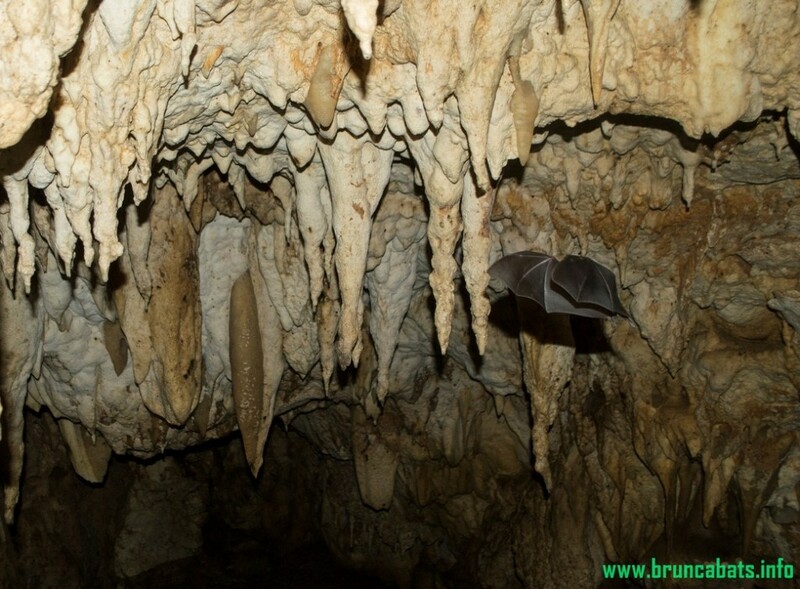 This cave was shelter for five bat species, including the rare Sword-nosed bat (Lonchorhina aurita). The deepest was the 30 meters deep “Tinamu” cave. We found also cave, used for trash bin. 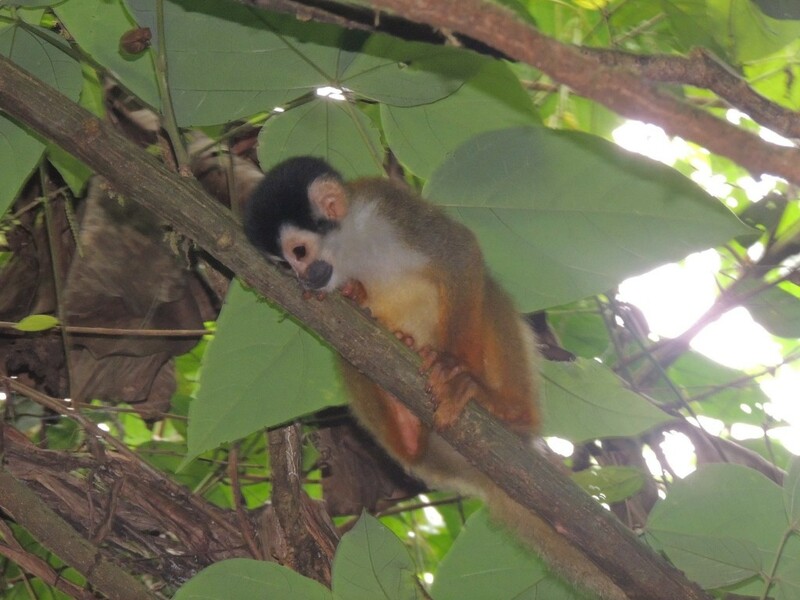 One of the happiest moments during the caving trips was the presence of over 40 squirrel monkeys, watching us above the entrance of the cave, later called “the cave of the squirrel monkeys”. 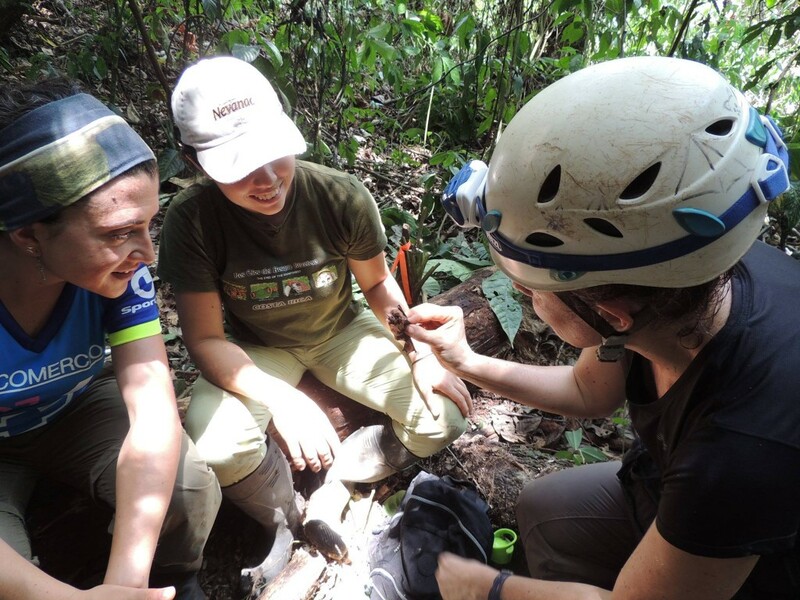 We hope that the people, participated in the expedition are inspired to become part of our research team and will continue to reveal the secrets of Costa Rica’s underworld. 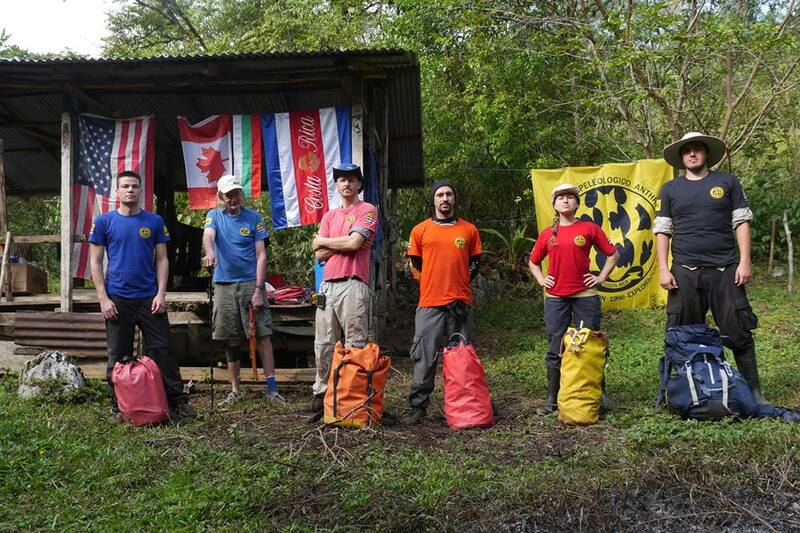 More photos of the expedition here.